The camera records very clear video and the flexible strap that came with it is great. It keeps camera in place even when I'm sweating. My head camera was delivered on time and properly bubble wrapped. It works, too. 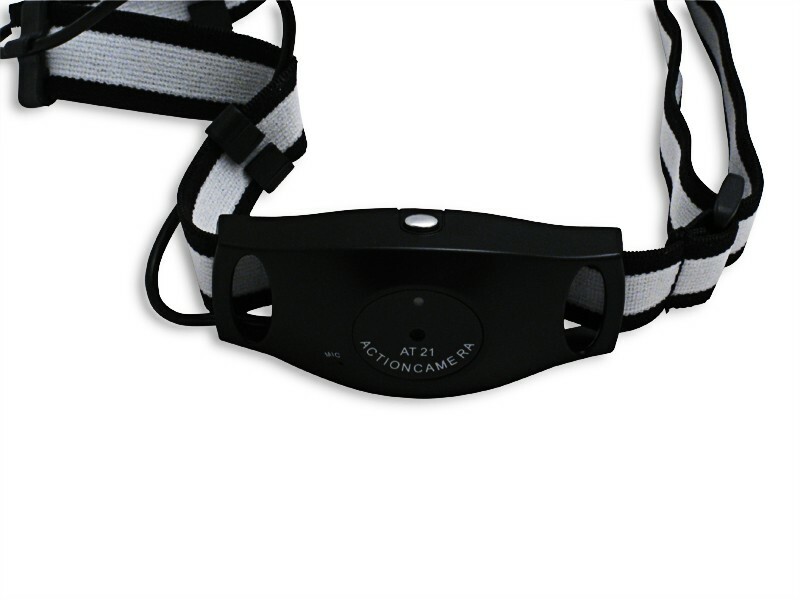 The camera is easy to secure on your head with the strap that came with it, does not fall easily once the strap is locked in place even if you keep on moving. It's not heavy as well, you'll forget that you are wearing one and you can do whatever you want while recording. I also like the quality of the recorded video, for a camera priced like this it records clear video with good resolution. I was really amazed how good this camera is. I use it for soccer practice game. As a coach of our high school I need to make sure that I convey clearly to the kids what they need to improve when playing and how they play individually and as a team. I strap this camera on my forehead and follow my boys through their game. After the game, I ask them to view the recorded video to see how they play. This makes them aware of what their mistakes and what they need to do to. Camera does not easily fall even with the constant running. Fits perfectly fine on my forehead and it securely straps. Even with constant movement it does not fall easily. I usually wear it during sports activities with friends and families. When me and my kids go play soccer I also wear it to record our family bonding. It's worth watching once at home. The camera is affordable as well and video are decently recorded so couldn't ask for more. This is perfect for mountain climbing or parkour. I have been using this for 3 months now with our parkour session and it works really good. The straps does not easily loose and the camera itself records decent video. You can also strap it in your arm or body. This is what I was looking for. My dad gave this as a present for me so I could use it while I'm skating. I thought it would be awkward wearing it on my helmet but was wrong. It's pretty light which is very different from my previous one and the strap really fits to the helmet. It does not easily get loose even with constant movement and while I'm doing routines. I don't have complains with the video as well as they were all clear. I'm really thankful my dad found this helmet camera. I often go mounting hiking with my family and friends. We often bring big DLSR camera with us which in a way kind of difficult. I found this camera, ordered it and tried using it with one of our latest hikes. It feels light and very comfortable to wear. I was able to wear it while recording our journey. When we got back home and playback the videos, it was amazing. The videos are all clear with good resolution. This is a good head mount camera. Camera fits well, very simple to use and works great.